I have been planning for this weekend for the last several weeks. 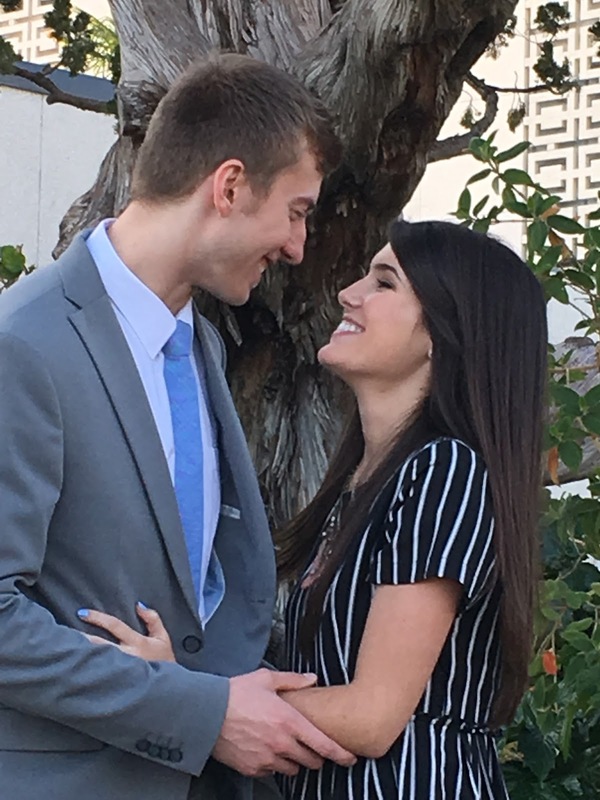 With Lyndsay now engaged, we thought it would be timely to have her enter the temple and receive her endowments in preparation for her sealing. 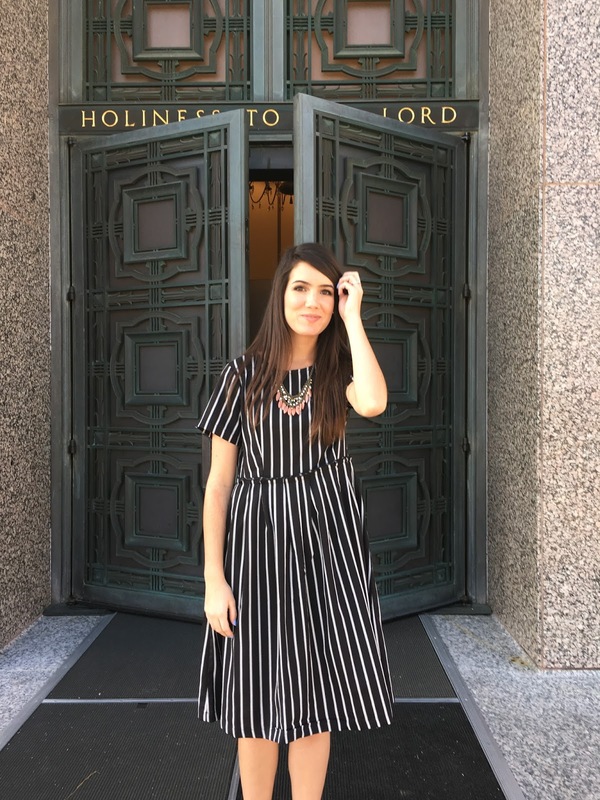 She took the Temple Preparation classes at her ward up in Utah, and since there was a three day weekend, we thought this was the perfect time for a quick trip. She and Nate drove down from BYU for this special occasion. We were also honored to have Nate's parents and grandparents come down from Visalia to be with us, as well as my dad from North Dakota. But since we had Lyndsay and my dad here, we rushed like mad to prepare Aiden's Court of Honor so that they could be there for his celebration as well. Every spare second that I wasn't working or sleeping was spent making plans, running errands, and preparing for these special events. We drove to LAX on Friday afternoon to pick up my dad, who moved to Bismarck last year. Traffic was horrendous on the 405 and it took us almost two hours to get there. But there he stood on the curb outside of the terminal, his carry-on bag in one hand, and his scriptures in the other. A perfect picture of Dad. 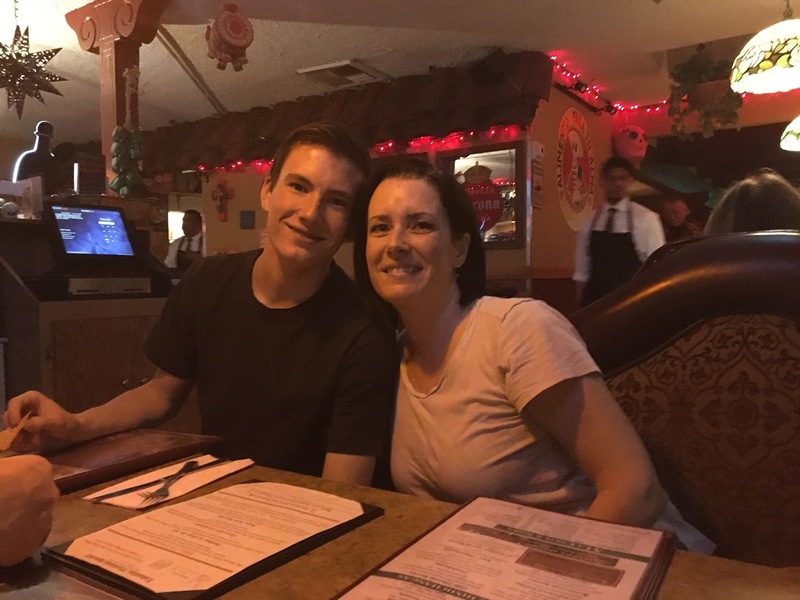 I always feel so much better when he's here, and it means a great deal to me that he has always been there for the milestones in my children's lives. He also was looking forward to the chance to meet Nate and his family. Lyndsay is so precious to him, and he wanted to feel comfortable with the man who would be her husband. Dad was kind enough to treat us to dinner at Joselito's Friday night, so thankfully, I didn't have to cook after driving in all that traffic. Lyndsay and Nate arrived around 9:30pm and stopped at the house quickly so that Dad could meet Nate, before Lyndsay took him to the hotel where his parents were staying. The plan was to have everyone over for breakfast in the morning, and Lyndsay asked that I make cinnamon rolls, so I was up very late making those. I got to bed around 2am and could only sleep until about 5am because I had just come off of a long string of night shifts and my mind was racing with anticipation about the events coming up and all the things I still had to do. But I got up and showered and baked two quiches to go with breakfast and we were ready when Nate's family arrived. I wish I had taken pictures! But everything went smoothly. I already adore his parents and little sister who came along. We had a lovely breakfast, good conversation, happy feelings surrounding the union of our children, and gratitude that we could be together for this occasion in Lyndsay's life. After breakfast, we headed to the Los Angeles Temple, and it was even better than I could have dreamed, being there with my girl as she made covenants and took this step in her life. She reached over and held my hand at one point and I was filled with such peace and gratitude that the Lord had helped me over so many years prepare her to be at this point in her life. It was marvelous. Nate's grandparents were there with us as well, as were several friends from our ward. What a great day! Lyndsay coming out of the temple. She glows! Lyndsay wanted pictures by her favorite tree at the temple. Lyndsay is a lover of trees. Great and good men. Nate's dad, Stan; Nate; Nate's grandfather, David (who will be sealing them in the Payson Temple); my Dad. Lyndsay with Nate and his parents, Stan and Jill. Such awesome people. The girls! Hannah, Nate's sister; Jill; Lyns; me; Nate's grandmother. Grainy, but I love it anyway. I'm so grateful that Lyndsay is marrying into this strong and supportive family. After the temple, we went home and changed and then Nate's parents took us all to dinner at The Cheesecake Factory. As we ate, we had a Wedding Planning Business Meeting, where Lyndsay talked about her vision for the reception and delegated tasks. Jill and Hannah are so wonderful to be willing to help out in any way, and I feel so comfortable with everything we have planned, as does Lyndsay. It's going to be a beautiful reception! We got home that night and were all just drained physically, spiritually, and mentally, and yet on such a happiness high. Since I'd only had three hours of sleep the previous two nights, I decided to just go to sleep and then get up early in the morning to make the dinner for all of us for Sunday afternoon. 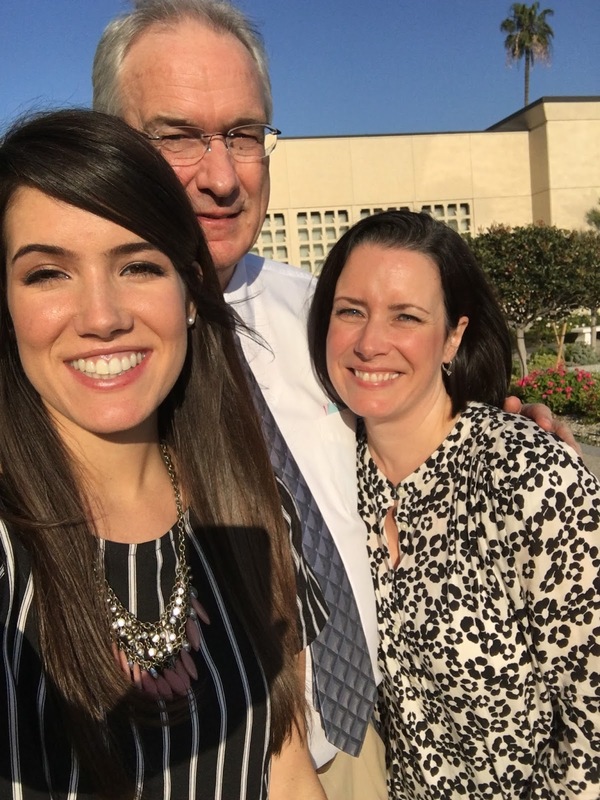 Sunday's church service was a Regional Stake Conference broadcast for all of California, Oregon, Washington, Alaska, Hawaii, and British Columbia, so Nate's family was able to join us and have the same meeting they would have had back home! Afterwards, we headed back to our house for a lasagna dinner, garlic bread, and salad from the garden, before packing up and going down to the ward building to set up for Aiden's Eagle Court of Honor! Saturday was Lyndsay's special day, but Sunday evening was to honor Aiden's accomplishment.